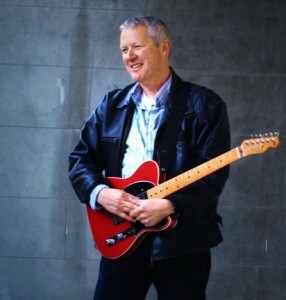 Rob Winch Obituary – Capital Blues Inc.
Robin Howard Winch, musician. B 14 August 1952, Nottingham, England; m Ann (dec), 2 s; d Wellington, 8 August 2012, aged 59. Rob Winch and his brother Martin were stalwarts of the New Zealand music scene who came to prominence as members of the fabled 1860 Band, the jazz-influenced rock outfit in Wellington that took its name from the long-defunct Lambton Quay bar they were resident at and where they commanded a large and loyal following in the late 1970s. Tragically, both brothers were to die young from cancer, Martin predeceasing his younger brother by less than 18 months. In another bitter twist, Rob had lost his beloved wife Ann to cancer last year. The 1860 Band was something of a revelation on the local music scene. Most of the members were veterans of the mighty Quincy Conserve, a band that played for many years at the old Downtown Club. Two of this new band’s line-up were relative newcomers to Wellington, brothers Martin and Rob Winch on guitar and bass respectively. Who could have known then the lasting impact these two would have on the New Zealand music scene in the decades ahead. Rob was a rock steady yet wonderfully creative bass player who could, at the drop of a hat, deliver phenomenal and inventive melodic solos, ideally suited to the jazz-rock repertoire of the band. He was also their main singer. Not many people were initially aware that he, like his brother Martin, was also a superb guitarist. Originally from Nottingham, England, Rob arrived in Auckland with his family in 1963. They soon relocated to Nelson, where Rob was a pupil at Nelson College. His father had been a Policeman in the UK, and Rob was considering a career in the probation service after finishing school. Instead, he discovered that he had a talent for music and succumbed to the lure of the guitar and a life on the road as a member of numerous pop and rock bands. In the early 70’s Rob moved to Wellington, where he became a member of the popular psychedelic folk/rock group Tamburlaine. By the mid-seventies he was playing in Christchurch with Brigade before returning to Wellington to join the outfit he was to become most closely associated with – the 1860 Band. When original bass player Dave Pearson left, Rob was recruited and shortly afterwards he suggested that the band hire his brother, Martin, from the recently defunct Auckland band Dr Tree, as guitarist and the rest, as they say, is history. At their peak, the 1860 Band was undoubtedly the biggest crowd pulling crew in town. It was with this band that Rob’s compositional talent began to develop, and he wrote the track ‘Von Tempsky’ for the album of that name. He also shares lead vocals with Geoff Culverwell on the bands biggest selling single, ‘That’s The Kind Of Love I’ve Got For You’. Rob was bass player for the Rodger Fox Big Band from 1978 to 1981. He accompanied them on their 1980 tour to Montreux, Switzerland, where their performance was recorded live before continuing to New York, where they cut “New York Tapes”, a most excellent album. Then in 1981, the band toured to the UK, Montreux (and another live album) and Poland. Back home, he began to develop and expand his skills to encompass work as a vocalist on numerous recording and television sessions and added the art of percussion to his repertoire. All this led him quite naturally into the business of jingle writing, and he quickly became the ‘go to’ guy for advertising agencies needing a campaign. That launched his career as the music creator of countless recording studio, television and film production company projects around the country and abroad. Undoubtedly, his most recognisable television commercial sound track is the iconic ‘Cruising On The Inter Islander’. In 2003, Rob once again teamed up with Martin to tour their tribute to Eric Clapton show around the country to sell out houses. Later that year, he took his family to live in Nashville for several months while he recorded an album of his own compositions, “It’s About Time”. Stricken by several devastating illnesses in more recent years, the lad never complained and many never knew he’d been gravely ill. In 2011, having cared for his beloved wife Ann until her untimely death, he again ventured out into the live performance scene and showed that he still had more than most to offer where serious guitar chops were concerned. Such a player, such authority, such feeling. Those lucky enough to see and hear him at his last gigs at the Bristol Hotel in Wellington were enthralled at his passionate, inspired guitar solos and soulful singing – Clapton would have saluted him. Hugely admired by musicians and fans alike for his impeccable musical taste, his creativeness, humble attitude, genuine interest in others and a truly insane sense of humour, Rob had the lovely gift of being able to positively influence the lives of almost all those he came in contact with. His circle of friends was wide and encompassed not only those from across the creative community here and abroad, but people from all walks of life. Robin Howard Winch died peacefully in Wellington Hospital from complications following a bone marrow transplant on 8 August 2012, six days short of his sixtieth birthday. His life was celebrated to the full at his funeral, held in Wellington on 13 August 2012. He is survived by his mother Molly and his sons Ben and Riley.